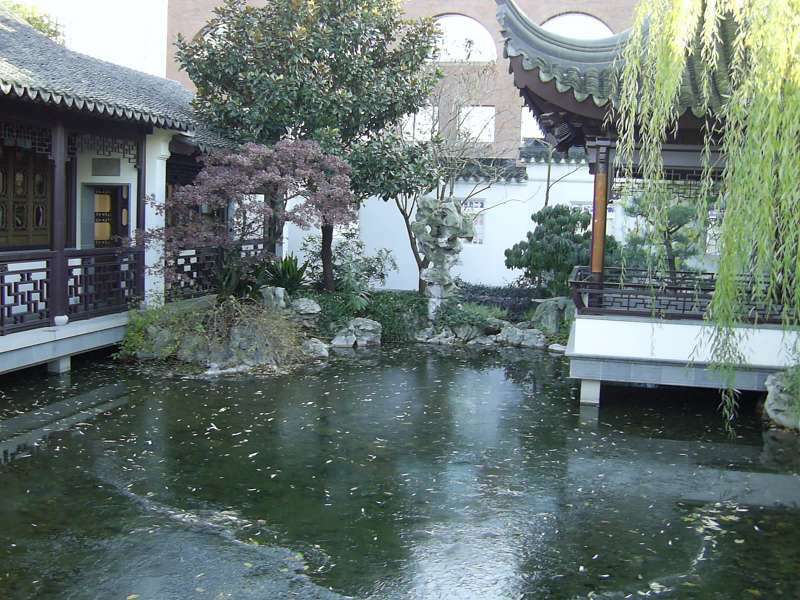 It’s been a while – 2008 – since I began this series on Portland’s Chinese Garden. In the meantime, as is the case with any garden, much has occurred. A very few plants failed, a few were relocated, some overly ripe stuff was replaced based purely on taste. For a notable period, a leak was found in the water feature part of the garden, chased down and then repaired – a relatively constant plague or at least a danger, for almost any water feature, anywhere. Generally, however, little has changed overall. Eventually, the huge Weeping Willow will become problematic with its invasive root systems and the softer wood becoming perhaps snow – or ice – laden during some Winter storm and affecting its shape. But all in all, it has matured very gracefully into a focal point destination inside a gorgeous city. I have revised some of these older posts, tinkering around with pictures and script, but altogether I am very happy with these posts. I hope they give as much pleasure as I got from writing them and from helping construct this masterpiece. This series deals with some of the tales of its emergence out of the city block-wide big hole where it began. 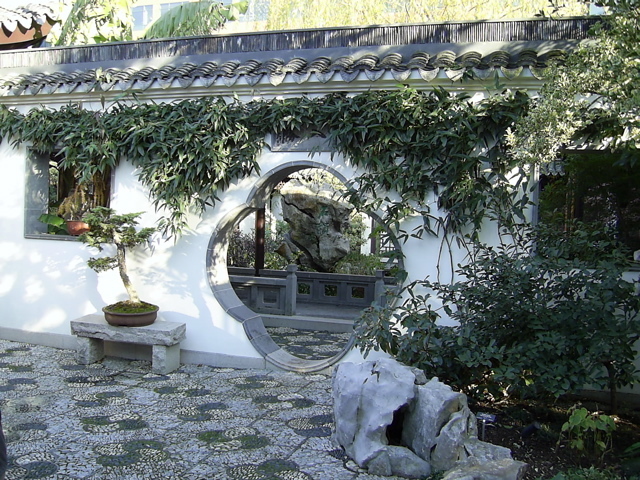 The Portland Chinese Garden was a combined effort between a company from Portland, Oregon’s sister city, the incredible Sou Zhou, and, well basically, the Mayor of Portland. It was at various points a hot political potato with mounting criticisms from all the usual political-type sources (which usually means an opposing party, naturally) in an era of average or worse resources, following the ‘Dot Com” bust which negatively impacted Portland having long since gone “all in” on high tech. However, Portland was even then showing the strength of a reasonably well-planned expansion, complete with very innovative and successful local corporations, such as Intel, Nike and a million smart subsidiary businesses to Microsoft just up the road in Seattle. We spent an interesting meeting in the Mayor’s office once, proposing an idea that she accepted with joy and hopefulness – naming various trees and baubles for the largest donors. For a price, of course. 😉 Well, it worked. But my favorite interactions were always with the Chinese who also worked hard on this lovely project. Constant smiles, elaborate bows and exclamations, tons of laughter and the joy of sharing and cooperation made it entirely special to me. 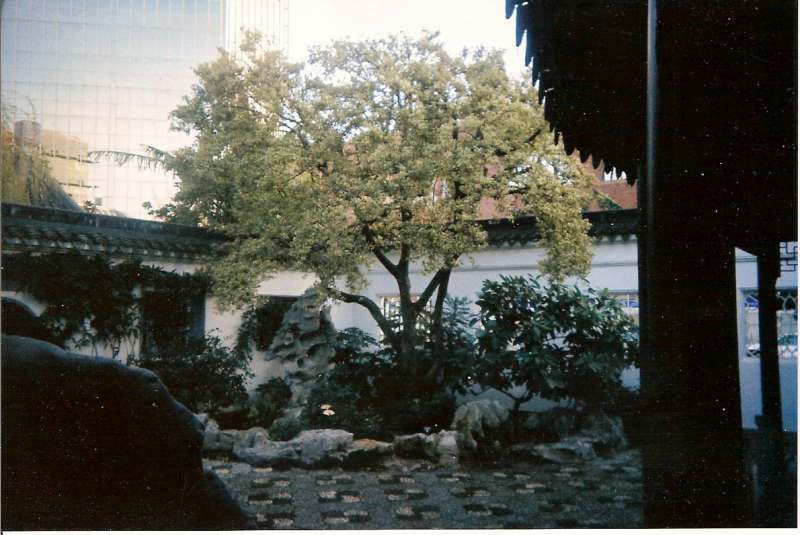 I’m going to recirculate an entire series of Chinese Garden construction factoids and tales from its construction, which I was integral to. It was easily the neatest gig I was ever a part of and I was fairly high up in the work and liaison stream, then working for Teufel’s Nurseries, a $40 million a year business in early 1996. Enjoy a ride through some of the highlights of this project. Oh – by the way – Portlanders are inordinately proud of this Garden. It gets heavy traffic 12 months a year. Set solidly right in the very depths of downtown Portland, Oregon, the Chinese Garden is serene and mind-boggling at the same time. The fact that the locals understand this is implicit – basically placed smack in the middle of the Chinese District, it has a congruity within the city itself. Leaving the Garden, you can go shop at stores specializing in Chinese items or eat at any number of bordering restaurants. Portland is an immensely satisfying walking town, although an umbrella is de rigueur during the drippy Winter months. But of course, that is not the entire story, and especially as it relates to this blog. That the Garden is a gorgeous feast for the eyes and senses is pretty much a no brainer. I will address that pictorially. How it relates here is my own small involvement with it and it may take a post or two to finish. At the time, I was living in Portland and working for Teufel’s Landscaping, a very large and successful nursery and landscaping firm who counted their clients among those they have worked for or supplied for over 100 years. Among their clients were the Nike and Microsoft Campuses, golf courses, Intel’s booming Portland base and countless others. In residential landscaping, I have myself worked for some notable people. 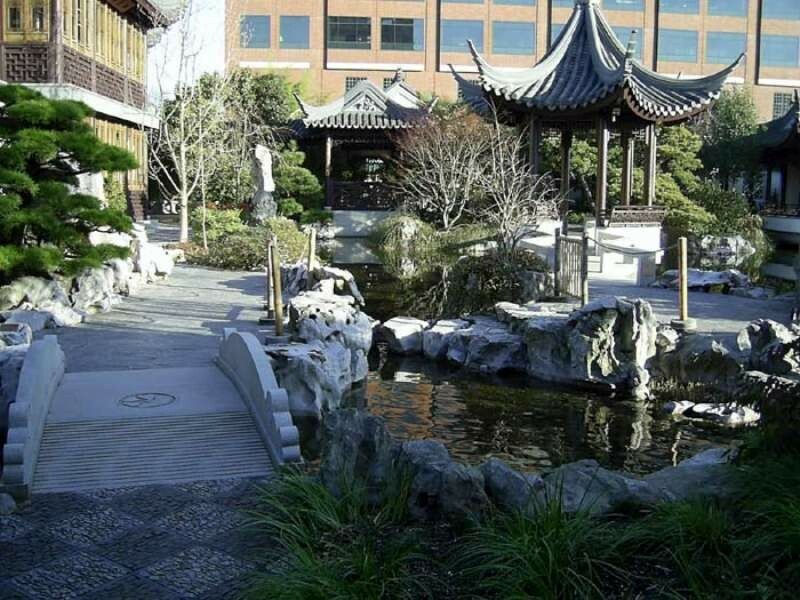 When the mayor of Portland decided she wanted this Garden in conjunction with Portland’s sister city, they tried and eventually found the approximately $12 million it took to make it work. I salute Vera Katz here and now for her wonderful addition to the city and her bulldog-like tenacity in seeing it come to pass. You da gal, Vera. Well, Teufel’s got a contract to do a number of things under the project. Once again, my good friend John Stone was instrumental in all this and was my supervisor. John’s rather bizarre mandate was to provide the local landscaping expertise dealing with irrigating the grounds, locating all of the plant materials, installing the soils and planting the plants for a project no one wanted to look “brand new”. Naturally, what this meant was that fully mature plants were to be supplied which matched the specifications and artistic needs supplied by the Chinese portion of the engineering and landscape architect class who basically designed it. It implied some stuff you just couldn’t make up, it was so far fetched. For one example, I accompanied John in an expedition down to a plant who specialized in fabricating chains. Why? Because as we found and excavated the trees, we began seeing some intimidating issues with their weight. The root balls on some of these behemoths were in the tens of tons. We already knew we would be using a 180 ton crane for placement – at the time the largest vehicle made for street travel. 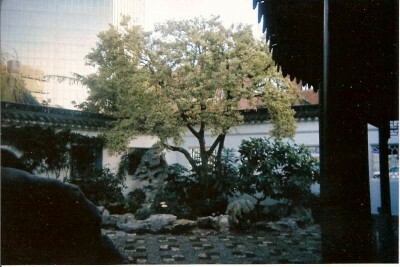 This entry was posted in Chinese Garden, Gardening and Landscaping by Steve. Bookmark the permalink. LOL, whew! I passed the awesome IsrealMom.net test! There is only one thing that comes to mind…WOW! These designs gave ancient look.